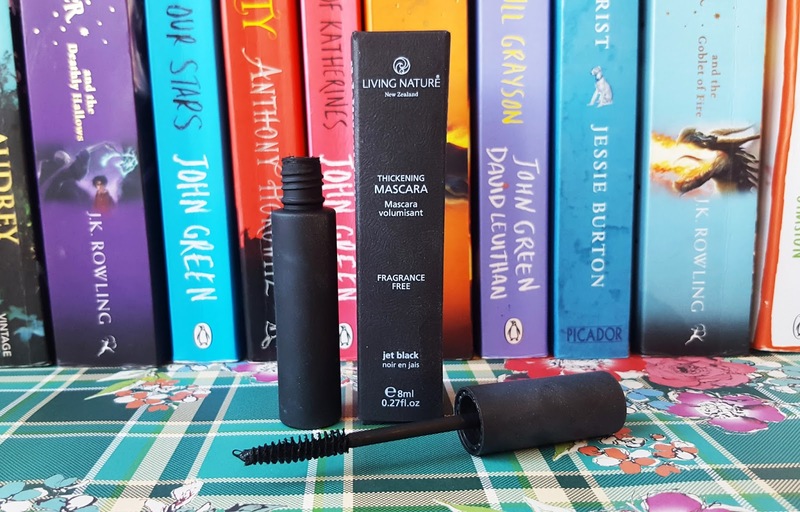 Recently I was sent the award-winning Thickening Jet Black Mascara* from Living Nature, now available at Botanical Brands; a supplier of some of the best eco, natural and organic beauty brands from around the world. Regular readers will be well aware of my love of natural skincare, so I couldn’t resist the opportunity to delve into the world of organic cosmetics. Living Nature is a New Zealand based company which specialises in creating certified-natural makeup and skincare products that harness the purifying, healing and nourishing power of native botanicals. Available in Jet Black or Blackened Brown, this fragrance-free mascara has just been awarded the 2016 Green Parent Natural Beauty Awards Gold Award for Best Mascara. Unlike most mascaras, it uses the natural thickening effect of Halloysite Clay, together with Candelilla and Carnauba Waxes, Jojoba Extracts, Manuka Honey and Tocopherol (vitamin E), instead of harsh chemicals that can irritate sensitive eyes. The mascara is packaged in a simple black box and thick matte rubberised tube that reminds me of several NARS products in my collection, with the logo stamped on top. The wand is long and skinny which perfect for coating my bottom lashes. The clump-free formula is buildable and gives a smooth, glossy black coverage that defines each lash and gives a slight thickening effect. I found that the mascara did tend to flake slightly towards the end of the day but the formula is easy to remove and leaves my lashes feeling soft and nourished. 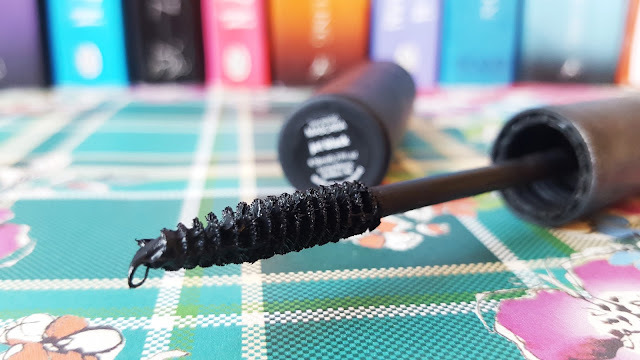 The Thickening Mascara is incredibly conditioning compared to others in my collection, my lashes actually feel stronger and healthier after each use. The Thickening Jet Black Mascara from Living Nature retails for £21/8ml. "Buff Natural Body Care | Mama Sea Salt Body Scrub Review"
"Pregnancy | Hospital Bag Checklist"